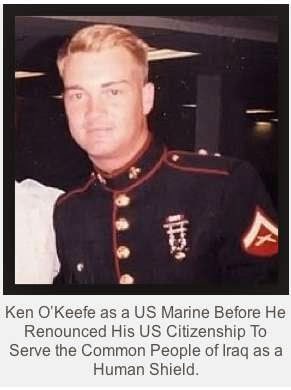 Kevin Barrett's radio show schedule: Ken O'Keefe, "new Geronimo of the infowar"
Ken O'Keefe, "new Geronimo of the infowar"
Broadcast December 26th, 10-11:00 a.m. Central (1500 GMT) on NoLiesRadio.org, archived here. Note: TruthJihad.com subscribers can listen to shows on-demand before they are broadcast - and also get free downloads! If you are a subscriber, just log in to the members area of TruthJihad.com and go to the "Private Blog" to get early access to the shows. 911 False Flag - American Traitors & Mossad - Where are the Oath Keepers? It has a new introduction responding to UK Prime Minister David Cameron's claim that 9/11 truth seekers are "nonviolent extremists" who are equivalent to ISIS. Ken's film highlights the evidence for Israeli involvement in 9/11 - a topic that many other researchers, including "Dean of 9/11 Studies" David Ray Griffin, have de-emphasized or avoided.